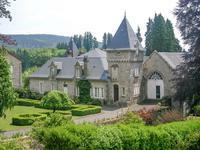 With my own house in the Haute Vienne, but very close to the border with the Creuse, my properties are in both regions. 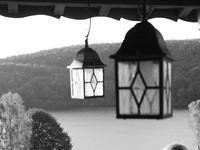 This part of the Limousin contains some of the most beautiful scenery in France. With its bountiful rivers, lakes and forests you will never be short of somewhere to go walking, cycling, swimming, riding, sailing or just ‘chilling’. If you are looking for an escape from the rat-race you have found the perfect spot with all the advantages of low crime rate, peaceful surroundings, clean water and clear skies with very little light pollution and still one of the best health care systems in Europe. 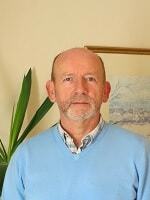 In 2004 we started looking to buy a holiday home in France and spent time doing our research. We looked at a lot of France before settling on the Limousin where property is the most competitively priced and the scenery is breathtaking at times. Once we realised just how lovely it is here and how much we could get for our money it was an easy decision to change our plans and make this a permanent move. We bought our house in 2005 and spent time getting things how we wanted them before moving here in 2007. Since then lots has happened and we have the usual selection of pets (two dogs and a cat) we have also had goats and pigs as well as chickens. The quality of life here is so good I can only advice you in the strongest of terms to make the move. Set in over 23,000m2 (6 acres) of Creuse countryside this is a great opportunity to run a . . .
A magnificent country house with four bedrooms, swimming pool, lake (with its own beach) and over 16 hectares of rolling countryside and woodland. This impressive property will make a fantastic family home. Whether you are bringing up a . . . 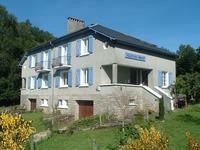 This busy gîte complex of 4 gîtes and seperate owner's accommodation is made up of two . . .
A fantastic business opportunity, close to Lake Vassiviere, with 8 bedrooms and 5 bathrooms, this potential B&B will give you a great chance to enjoy a super life. This detached property could be just what you have been looking for! Set in the heart of the . . .
A wonderful 5 bedroom family home with mature gardens and an artists studio. Set in just under 4000m2 of lovingly maintained mature gardens, this ‘Bourgeois residence’, . . .
Two houses for an amazing price. Two four bedroom farmhouses in one courtyard just a few minutes from the stunning Lake Vassiviere and just over an hour from Limoges. 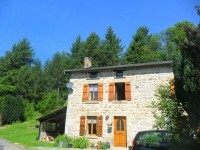 A 3 bedroom converted barn in a peaceful village just 7km from Eymoutiers and only 40km from Limoges, with a partly converted barn next door for a potential income. A tastefully converted barn with an impressive open-plan kitchen/dining room/lounge, a . . .
A lovely 3 bedroom stone house with lots of character, a mature garden with your own source and a pond, less than an hour from Limoges. What else could you want? A Charming 4 bedroom stone farmhouse with outbuildings and potential income, set in just under an acre of mature garden 45 minutes from Limoges and 5 minutes from local amenities. This lovely home has been recently modernised and has double glazing throughout, wood fired . 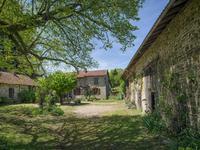 . .
A three bedroom farmhouse, with several barns and outbuildings set in three hectares of pasture land, perfect for horses, just 31 Km (19miles) from Limoges. In a tranquil hamlet but less than 5 minutes from the nearest shops, this farm house will . . . 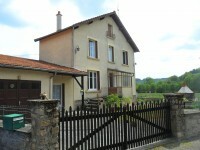 Recently built detached 3 bedroom house in the Creuse with stunning views and lovely garden. In a hamlet location. This property is just under 13 years old with built in character and beautifully presented. . . .
A very spacious village house with 4 bedrooms, a bright new conservatory and a garden with beautiful views. Filled with original and charming features, this house with its impressive conservatory is a . . . This ‘log cabin’ was completed in 2013 to an extremely high standard and will make a perfect . . . This lovely property has three bedrooms, a big lounge and a large kitchen/dining room. There . . .
A substantial country house with 3 bedrooms set in 2600m2 of manageable garden, this property is fully furnished and ready to move into. In perfect condition, this house is everything you could want. Including the furniture. On . 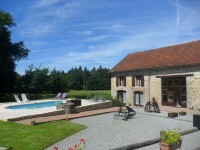 . .
Three bedroom, two bathroom property with swimming pool in a tranquil hamlet less than hour from Limoges. 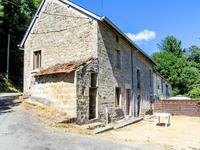 This is a very well maintained house in a beautiful part of the Creuse countryside. With . . .
An absolute bargain! 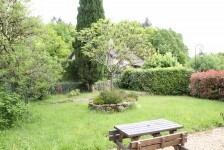 A three bedroom farmhouse with manageable garden, wonderful views and only 10 minutes drive from Lake Vassiviere. A tastefully decorated home with three bedrooms, kitchen, lounge, dining room, office and . . .
A 3 bedroom stone house with kitchen, open plan dining & lounge with a beautiful stone . . . Built in 1982, this three bedroom house in a quiet hamlet will make a great family home and is only 12km from Eymoutiers. With a manageable garden this house has a garage, cellar, laundry and office/4th bedroom on . . .
A substantial town house within walking distance of shops, bars, and schools in the pretty market town of Eymoutiers. This property will provide you with lots of opportunities and potential as either a family . . . This lovely cottage has 2-3 bedrooms, 2 bathrooms, a lounge, dining room and kitchen. There . 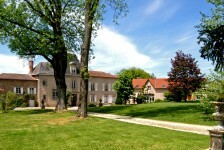 . .
An imposing property in need of some renovation with a large barn and almost 3000m2 of land and access to much more. Close to Limoges. This wonderful house just needs someone with imagination to restore it to its former glory. . . .
Charming 2/3 bedroom property with mature garden in a small hamlet close to Bourganeuf. This lovely, traditional house has lots of original features and potential to alter and . . . This three storey town house with just about half an acre of mature gardens is set in the . . . Pretty farmhouse, attached barn, edge of village with all the amenities. Will accept reasonable offers for quick sale! 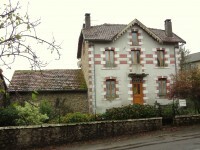 Situated in a raised position and set back off the village road this lovely house offers 72m² . . . This house could be your perfect lock up and leave holiday home and, because it has a small . . .
A lovely home with business potential just 2km from Sussac and 10km from the pretty market towns of Eymoutiers and Chateauneuf la Foret, less than an hour from Limoges. This family home is currently a one bedroom house with a 2 bedroom B&B upstairs, but could . . . This 3 bedroom cottage is currently a holiday home but it would be perfect as a full time . . .
Two bedroom cottage with a barn to extend into. Panoramic views and just 10 minutes from the shops. This lovely 2 bedroom cottage will provide you with a ready to move into house with a barn . . .
An imposing six room house over three floors, in need of renovation. Partly double glazed and with central heating. Jst a few yards from Eymoutier town centre. PERFECT ! This stunning building in need of some renovation will make a great family home or . . . !!!! OPEN FOR OFFERS !!!!! 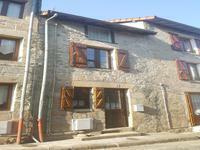 A very well maintained three bedroom townhouse, near Lac de . 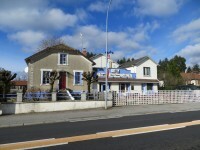 . .
2 Bedroom detached house with garage and garden, hamlet location with views over Creuse countryside, 23. This detached house is just right for a couple as a holiday home or to live. Everything is . . .